New figures have shown a lot of people living in Greater Manchester are not able to get their teeth and gums cared for by an NHS dentist. 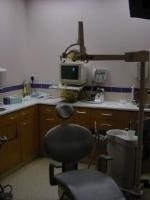 However, the statistics showed access to NHS dentistry is on the rise in Wigan. According to a report by Wigan Today, NHS associate director Jackie Forshaw stated she is “pleased” more people in the town have the chance to see an NHS dentist. “We have worked hard with local dentists to ensure that Wigan people can access NHS dentistry either in an emergency or for routine treatment,” she said. Waiting times were also said to have improved for those receiving specialist care in areas such as orthodontics and oral surgery. But the figures showed that in Manchester, only 52.9 per cent of adults had visited their dentist in the last two years. The Office of Fair Trading recently called for more competition in the UK dentistry sector.